This hiking vacation in Bavaria is a self-guided hike and is graded as a level 2. One name, one symbol; Zugspitze which belongs to the best-known summits of the Alps and can be quite easily climbed by cable car. This is why we have chosen to walk around the Zugspitze (highest peak of the Wetterstein Mountains), viewing it from different angles and exploring beautiful hiking territory. The adventurous and sensational crossing of gorges, thundering waters leaving unforgettable impressions. Idyllic alpine pastures and traditional “Brotzeit” to sustain yourself during the hike are inseparable aspects of this hiking tour. 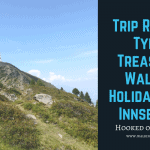 This easy to moderate walking holiday has many great highlights, including scenic views to the rugged summits of Wetterstein Massif, idyllic mountain villages, excellent cuisine and typical Tyrolean Bavarian charm. You definitely won’t want to miss out on hiking in Bavaria surrounded by the Bavarian Alps! On both sides of Wetterstein Massif you find pretty places for tranquil nights. This is a varied walking tour in Germany, and requires good basic stamina. You walk on well-kept hiking paths and partly on forest roads. Any considerable changes in altitude are covered by transfers or cable car. Daily walking times of a maximum of 5 comfortable hours. Arrive to our starting location, check in and explore. Today a wild and idyllic start of the day through the steep gorge Partnachklamm, where the water courses from Wetterstein massif meet. Afterwards a walk across soft hills and alpine pastures to Klais with a train to Mittenwald. To make the gorge passable the path was hewn with extreme precision into the rock and bold bridges crossing up to 40 m above the water. Relax on a comfortable walk along the stream of Leutascher Ache into the valley. Past small hamlets and flower meadows with Wetterstein Massif forming a stunning backdrop as you walk into a widening Leutasch Valley. Today on our Bavarian Mountains walking holiday, you are free either to relax or take a walk to the many lakes in and around Seefeld. Return by public bus. Summer in the Gaistal Valley is blissful for the small light brown ponies and grey and brown cattle. We walk on Ganghofer path (a local writer) across the alpine pastures up to the crossing to Ehrwalder Alm. Picture book scenery. You will then descend by cable car. Today bit by bit we walk up to the foot of the Zugspitze and a famous scenic view on Lake Eibsee. The tour ends at the lovely lake with Zugspitz-Garmisch panorama. Simply beautiful. Return to Garmisch by Zugspitzbahn. Trips with easy day walks are interspersed with more strenuous sections. Four to five hours walking per day (excluding breaks) in hilly to mountainous areas using well kept but sometimes stony paths. By Plane to Munich Airport and then by train to Garmisch.